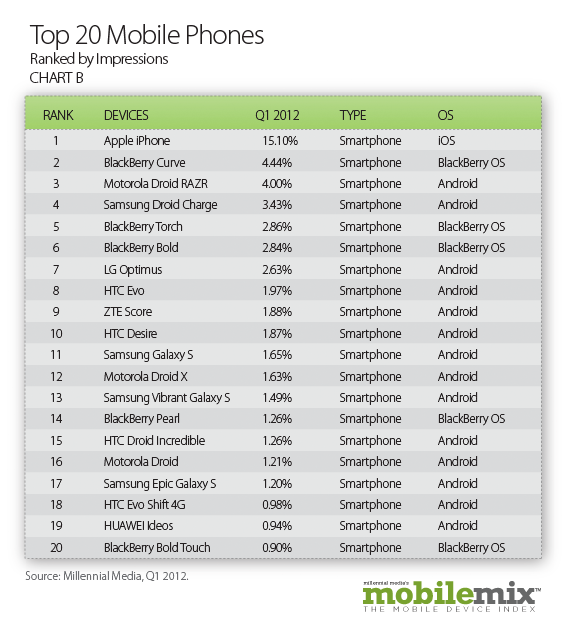 If we told you that Android was the number one mobile OS worldwide, you shouldn't really be surprised by this point. By most metrics, the little green guy has overtaken the competition in just about every area, including sales, actual userbase, and ad impressions, as demonstrated here by Millenial Media's report. There are a couple surprises in the report, though. 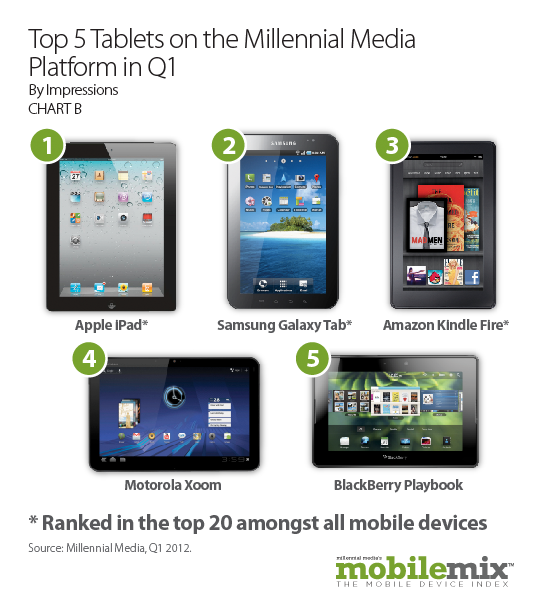 For starters, while the iPad being the top ranked tablet is no surprise, the Galaxy Tab beating out the Kindle Fire is. The model in the report appears to be the original Galaxy Tab. The seven inch slate running Gingerbread. While that tablet reportedly never sold all that well, it's also the oldest Android tablets. Since this report is measuring ad impressions, it's possible that Galaxy Tab users clicked more ads than any other Android tablet users. It's hard to say how much this correlates to userbase, though. For example, despite selling significantly fewer units than was estimated, the Xoom is ranked as the number 3 Android tablet, and number 4 overall. The ASUS Transformer, however, which sold far more units doesn't even place on Millennial's list. While individual units of data may be a bit off, the overall trends are echoed here as much as they are elsewhere. Apple is still the top single manufacturer, but Android is the most-used OS overall. Smartphones are a still a huge growth market. Samsung still beats all the other Android manufacturers by a pretty huge margin. While the data is great for confirming the trends we're all aware of, keep in mind that advertising impressions are among the least reliable bits of data for monitoring the overall health and direction of a market. For example, Millennial also lists the Blackberry Curve as the number two smartphone, but, unless you're an advertiser on the Millenial Media network, you probably shouldn't take this to heart. 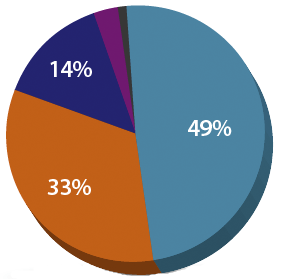 RIM is still bleeding marketshare and relatively stagnant. Ad impression numbers more often correlate to how consumers behave once they have their device than to what devices they're buying. You can take a look at the full report at the source link below.